Like global warming’s effect on food productivity, the probable danger of pests will hit the poor the most, says a new study. Drought, aberrant weather conditions, crops destroyed by the sun may not be the only things that are a consequence of global warming. With the world becoming hotter, more devouring insects will attack crop fields in the coming days. A new study says that a warmer world will have hungrier grasshoppers, caterpillars and other pests, which can have a devastating effect on the world’s food crops. The findings of the study will help in better planning to manage crop yield in the time of global warming. Also, this could also lead to finding some better methods to control pests. With global warming, nearly all insects tend to increase their rate of metabolism and multiply in large numbers. The reason behind this is the increased thermal energy in the environment, which speeds up the biochemical processes inside insects leading them to adopt a survival strategy of grasping more calories. This makes the insects more voracious. Scientists became aware of this fact some 10 years ago and warned in a study done by Deutsch et al at University of Washington, Seattle, US. Now, a recent study led by the same author, has developed a computer model combining physiological data of insects, like metabolic rate, population growth with climate change. 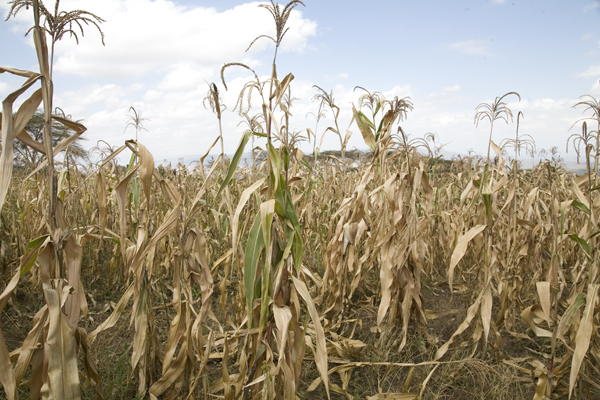 The per degree increase in global mean surface temperature will anyway lessen crop yield by 10 -25% worldwide. Adding to this worry, the increase in insect growth rate in response to the warming of the globe is supposed to create an acute problem of crop loss. In today’s time, insects consume 5–10% of the major crops worldwide. By 2021, as the model predicts, when the world becomes warmer by an average 20 C, wheat crops will shrink by 46%, rice by 19% and corns by 31%. The temperate region, like rice fields in China, wheat fields in France and US’s corn fields will be among the worst affected. However, some scientists say that despite being a good model, it has limitations. How global warming will affect the predators of the insects has not been worked out in the model. How the effects of global warming on the insect-predators will influence pest growth and crop yield have also not been suggested. Like global warming’s effect on food productivity, the probable danger of pests will also hit the poor the most. The United Nations has estimated that worldwide, at least 815 million people will go hungry every day. Loss in food productivity will make this gap wider. Global sea levels have risen by at least 13.8 millimeters over the past 40 years due to melting of Antarctica’s ice.